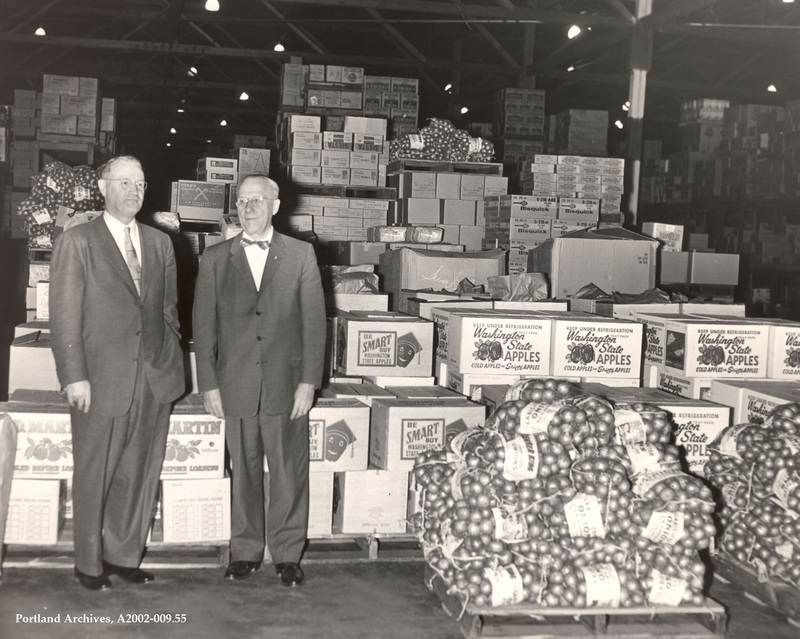 Fred G. Meyer (right) and an unidentified man at the Sunshine Division warehouse, 1964. 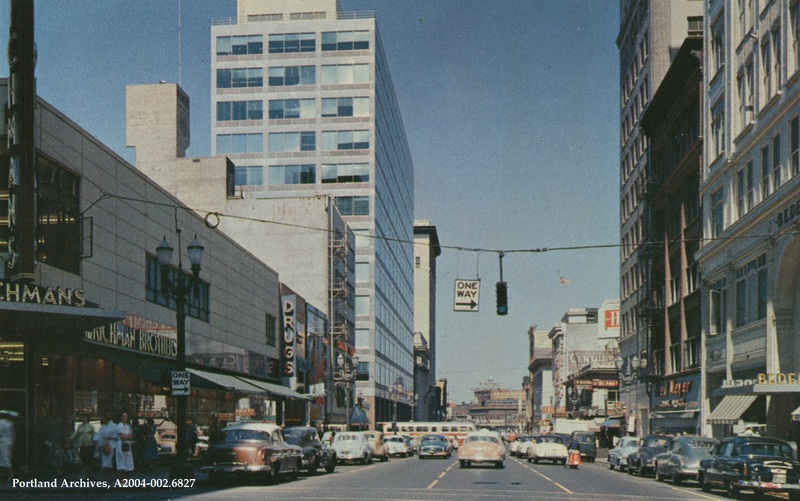 City of Portland (OR) Archives, A2002-009.55. 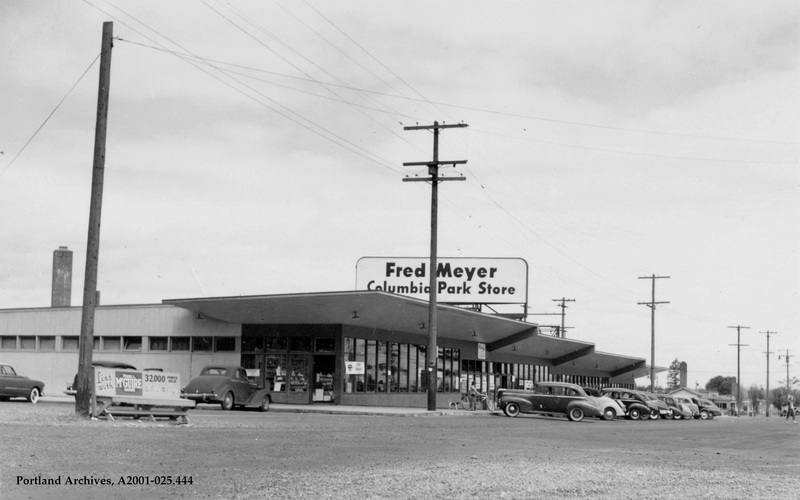 SW Barbur Boulevard and SW Terwilliger Boulevard, 1952. City of Portland (OR) Archives, A2005-001.52. 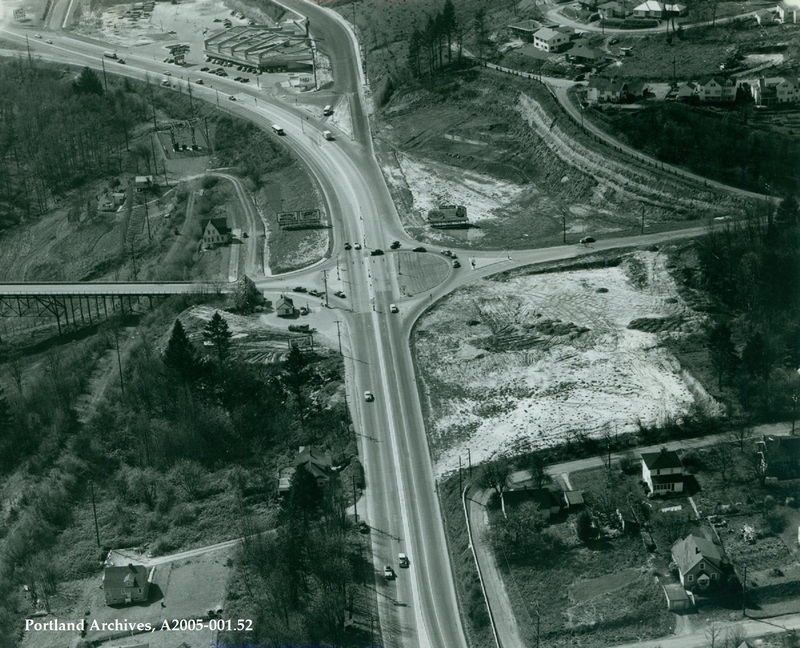 SW Barbur Boulevard looking southwest near SW Bertha Boulevard and the Burlingame Fred Meyer, 1961. City of Portland (OR) Archives, A2005-001.42. 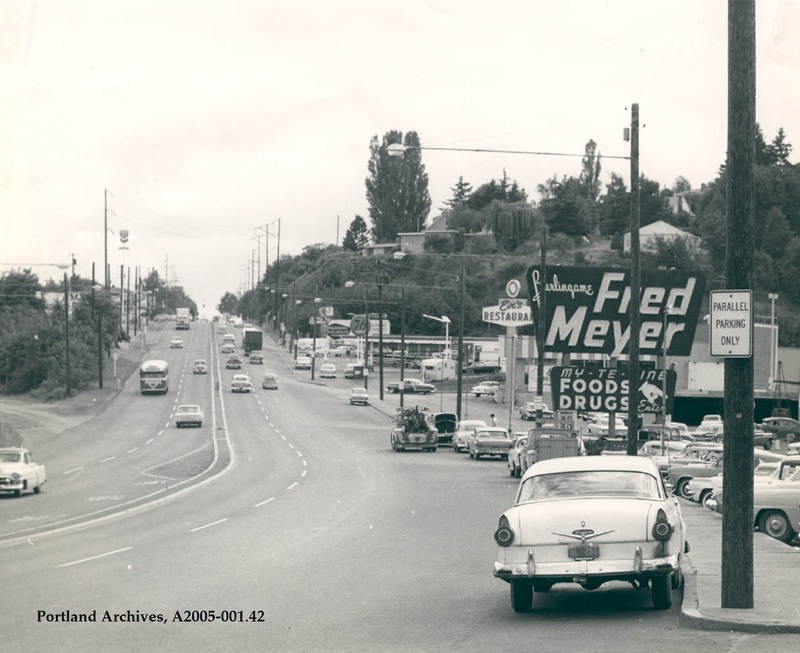 Looking north on SW 6th Avenue towards SW Alder Street, circa 1953. 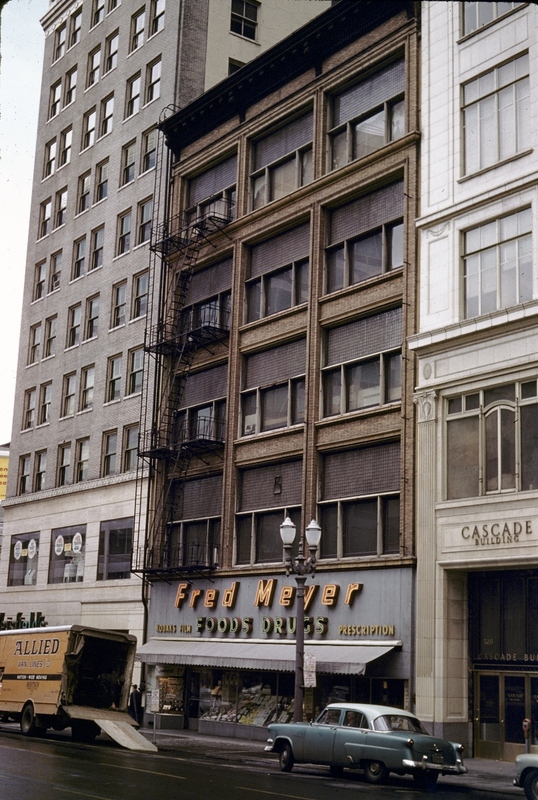 The Exchange Building on SW 6th Avenue between Alder and Washington Streets is no longer home to a Fred Meyer store but it’s still standing at age 110 years. Built in 1902, it was a part of the Olds, Wortman & King Department Store, whose main building at SW 5th & Washington butted up against the back of this building. Portland rain drenches a heavy lunchtime crowd of pedestrians and vehicles in this photo looking north on SW 4th Avenue at Morrison. 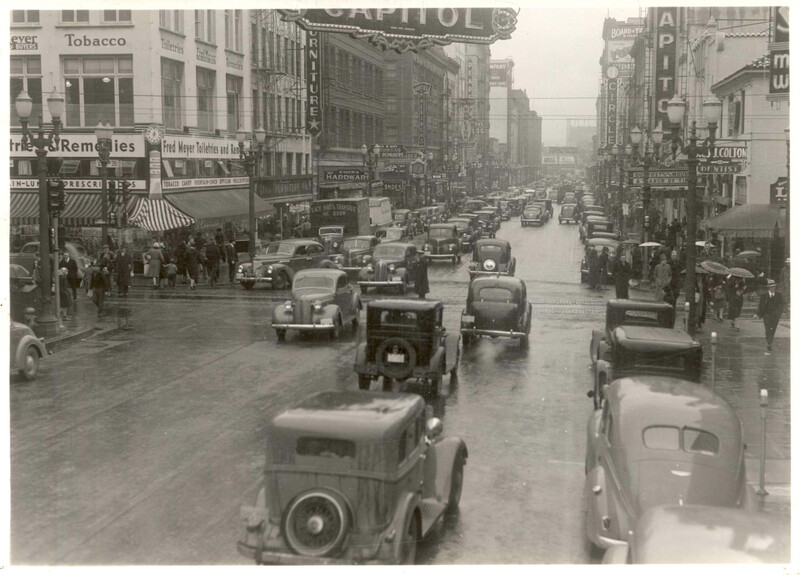 4th Avenue carried two-way traffic in 1938.